You know you love sewing. When you finish a project you feel happy and can’t wait to get started on the next. But do you ever feel guilty for the time you spend on your sewing? If so. STOP IT. Right now. 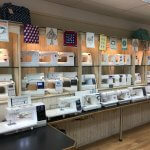 Not only is sewing providing you and your family with new clothes and adorable home accessories. It is also improving your mental health. 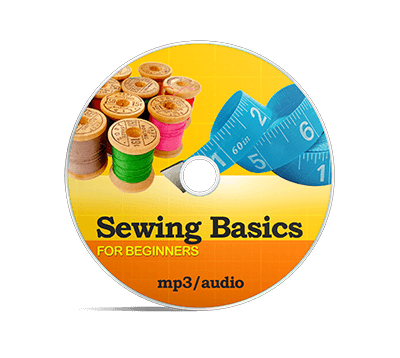 Sewing will make you a happier person and therefor a lot more fun for your family to be around. Much of everyday life revolves around mundane tasks. Fixing breakfast and taking the kids to school. Going to work whether that’s a job or back at home. Doing the laundry, going to the grocery store, cooking and cleaning. 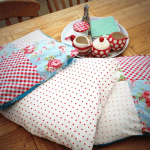 But with sewing you have a wide array of projects to create. 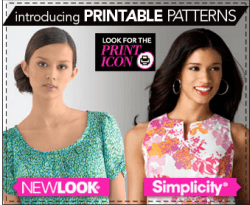 Using patterns you choose, colors you determine, countless fabrics of different textures, and you can always add a few twists of your own to the pattern. We live in a multi-tasking world. We text while trying to cook dinner and watch tv while running to the laundry room during commercials. While at the office we often think of what we should do for dinner. As a result, we often feel stressed and fragmented. With sewing you’re concentrating on ONE THING at one time. It’s often compared to meditating. The mind stops wandering all over the place and completely focuses on the project at hand. This can be a great stress reliever for our overworked and over stimulated brains. While an evening of television can seem enticing, it is really putting our minds into a state of sensory overload. It does not produce the same feeling as sewing and is not as beneficial to your health. When you’re sewing you’re free from the news. Unlike Facebook, there are no political posts to get sucked into. No drama, no anger, no need to unfriend that jerk from high school. It’s a time of calm in a chaotic world. With each new creation comes a new challenge. A new skill to learn. This keeps your mind active which releases dopamine. This works as a natural anti-depressant. Learning new things can also help keep your brain healthy and prevent future problems with dementia. Some people who deal with chronic pain have found that sewing helps them by requiring so much focus they are distracted from their pain. If you spend a lot of time with people on your job you may need time away from the chatter. Even spending time with your family that you love more than life itself can become draining. They all need you to do something for them or be somewhere. Everyone needs a little quiet time, all alone. This helps save your sanity so you have something to give everyone else. If you’re lucky enough to have your own craft room you are blessed. Otherwise, explain to your family that when you’re in your sewing corner you are off limits for anything short of a medical emergency involving lots of blood. Tell them what time you’ll be returning to family time and to save their problems until then. Turn on some quiet music to cover the noise and enjoy your time all to yourself. If your children are small this time may be after they’re in bed or during nap time. When you started sewing you probably looked for the easiest projects. But with every completed piece you’ve improved your skill level. That is something to feel good about. If you’ve ever tried to find the perfect curtains or pillows for your couch you know that finding ready-made accessories can be hard. When you want the perfect shade of green it’s much easier to find the material you want and create your own. Or maybe you want the perfect mother/daughter outfit for a special occasion. With your skills you can make clothes and accessories that meet your exact needs. When your friends compliment you on your new dress or the curtains you made; you’ll feel even prouder of what you’ve accomplished. For many years mother’s passed down their skills of sewing to their children. It makes you feel good to know your daughter or son can sew a button on their favorite shirt or make their own curtains when their budget is running low. Sharing a skill that’s both practical and creative with your children is good for their mental health as well as yours. There’s nothing like losing track of time while you do something you enjoy as in, complete immersion into an activity that’s fun. But then, gives you a beautiful creation in the end. What could be better? If you haven’t given sewing a try, maybe it’s time. I couldn’t agree more with this article. 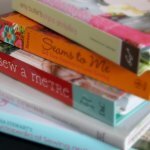 I am thrilled that someone else shares my thoughts on sewing! 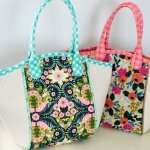 I love, love, love to sew! I learned to sew from the inspiration of my Aunt, and I also learned to sew in elementary and high school during my senior year; and as they say, “the rest is history!” 😊 I enjoy sewing, because I enjoy being creative; and I save money by making my clothes, (primarily evening attire). I buy clothing only if it is on sale. Thank you Jan for sharing this article! Glad you liked the article Eleanor. Sew on! Time for yourself is very important. I am the chair of the Great Oregon Steam-Up and plan on getting some basic sewing classes and talks for the show this year. More demonstration of domestic arts as well. This is our 6th year for the show and it has grown every year. I am so proud of how far we have come. Now I can also share this page and spread the word for others to come to it, to help the guild. I have sewn since 6th grade and wish they still had home economics in school. Since they don’t we have to find a way to get to the kids who don’t have the opportunity at home. Thank you for doing so. Congrats on growing your Steam Up. I’d love to visit one year.